My small collection of cool stuff. 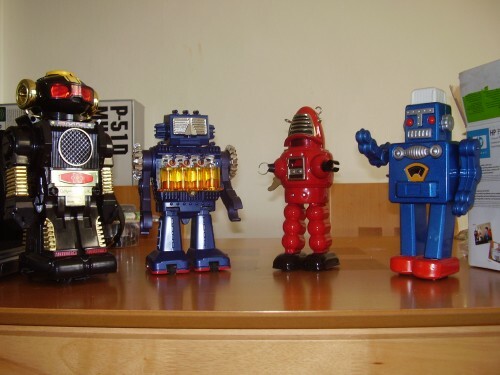 The robots on the left are originals. I know for sure the Blue one on left is worth Ã‚Â£100+. Oh and the box in the background with P-51D on it is the box for a Remote control Mustang airplane. 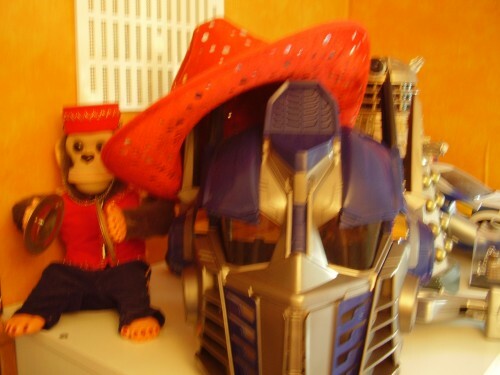 Also on the 1st pic in the background there is a half built remote control police car with sirens. I got a new robot the other day, sadly after i posted this.